Nowadays, sugar is a hot topic in the industry and consumer households. 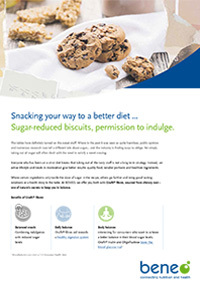 Sugar-rich foods have a way of slipping into our diet, very often in the shape of indulgent snacks or convenience foods. Consumers want the best of both worlds: great tasting and easily accessible foods that are better for them. Hence, the industry is set with the challenge to reconcile the snacking trend with the demand for better-for-you options. BENEO’s functional ingredients offer new ways to replace sugar and add nutritional as well as technical benefits to mindful foods that do not require any compromises on taste and texture. Orafti® Inulin and Orafti® Oligofructose are easily applicable and help reduce sugar levels to 30%. These chicory root fibres are an excellent alternative to sugar not only because of their bulking or texturizing properties, but also their relative sweetness compared to that of sucrose. On top, BENEO prebiotic fibres uniquely offer on-pack health claims for e.g. digestive health and blood sugar management. Consumers are increasingly aware of the difference between good and bad carbs and in certain markets, they begin to respond to “low glycaemic” messages. Research shows that over half of European consumers agree that sugar releases its energy too quickly, and that they are looking for alternative options. BENEO’s PalatinoseTM is a smart alternative sugar that is released slowly and in a more balanced way, allowing for lower blood sugar response and related on-pack health claims for blood sugar management . Next to improving blood sugar management, clinical study results also show that the gentle carbohydrate energy of Palatinose™ supports efforts towards weight management and sustained energy. 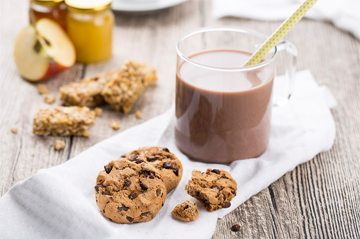 Expert webinar: Meaningful & tasty sugar replacement. Sugar is a hot topic in the industry and consumer households. Still, we all want the best of both worlds: great tasting and easily accessible foods that are better for us. Let our experts walk you through the technical and physiological benefits of our ingredients, market insights, consumer concepts and recipes based on top-level food engineering. 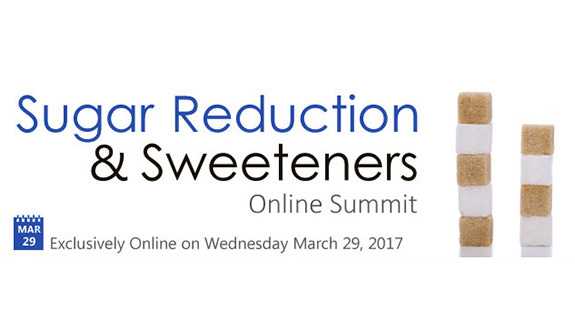 Sugar Reduction & Sweeteners Online Summit 2017. Transparency on the glycaemic profile of carbohydrates can take sugar replacement beyond mere label cosmetics. Download the hand-out or listen to the roundtable discussion on the nutritious challenges of sugar reduction, the physiological considerations and a close-up on ingredients qualifying for sugar replacement, including examples and a peak at the science behind nutrition and health claims (EU). Sugar is a hot topic in the industry & consumer households. BENEO shares consumer insights and new recipes that combine great taste with healthier living. 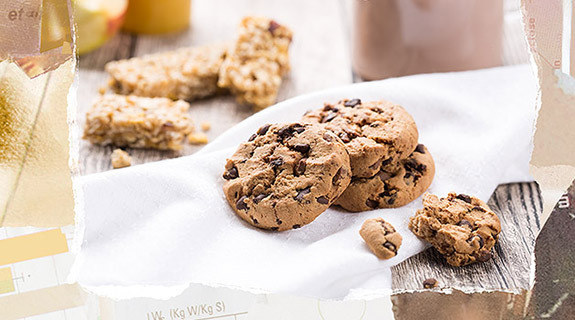 Get inspired by this innovative concept and tasty recipe for healthier chocolate chip cookies. Sugar out – fibre in!